Dr. Yonemura was born and raised in Southern California and obtained a B.S. in psychobiology at the University of Southern California prior to attending medical school at Jefferson Medical College in Philadelphia, PA. His neurosurgical residency training occurred at the University of California, Irvine Medical Center (UCIMC) and was completed in 1990. Dr. Yonemura was then selected as a spinal surgery fellow at the Barrow Neurological Institute in Phoenix, AZ and completed that in 1991. He returned to UCIMC as an Assistant Clinical Professor in the Department of Neurological Surgery but, at the request of his chairman Dr. Ronald F. Young, Dr. Yonemura joined him in private practice in Seattle in 1993. He received certification from the American Board of Neurological Surgery in May of 1995 and since that time, his practice has evolved to focus primarily on complex spine and peripheral nerve disorders. Dr. Yonemura has been a FDA investigator for both lumbar and cervical interbody fusion cages as well as motion preservation techniques that include artificial disc and facet replacement technology. He is also actively involved in the development minimally invasive techniques for the treatment of cervical and lumbar disc disease including the design of one of the first generation percutaneous pedicle screw systems. Dr. Yonemura’s desire to remain active in research and teaching prompted his return to academic medicine at SUNY-Health Science Center in Syracuse, NY in 1999. A desire to be closer to family on the west coast prompted his relocation to Salt Lake City in 2005, in the Neurosurgery Department at the University of Utah until 2011 when he returned to private practice. His primary base of operations will be located at the Heiden Orthopedics office in Salt Lake City and will be seeing patients on Wednesdays. 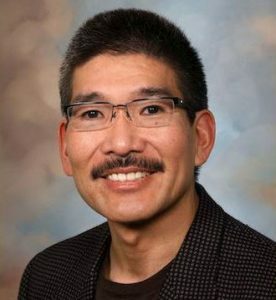 Dr. Yonemura will continue to see patients in Bountiful at Cope Family Medicine on selected Tuesdays and also in Park City on Thursdays. He has privileges at Lakeview Hospital in Bountiful and Salt Lake Regional Medical Center in downtown SLC. Although many patients believe that their referring physician will send all of their records, frequently these records are not available. Dr. Yonemura would strongly advise that these records and diagnostic studies (DVD discs, as reports alone are insufficient) be personally obtained and hand carried to your upcoming appointment. The absence of any pertinent diagnostic studies (i.e. x-rays, CAT scans, MRI scans) will definitely delay his ability to come to an accurate diagnosis or determine an appropriate course of action. If you should encounter any difficulties please call for assistance. I look forward to meeting you.